Want tired kids? This is the unit! They will run and slide for hours. Each slide finishes with a cool dip in the pool at the end. 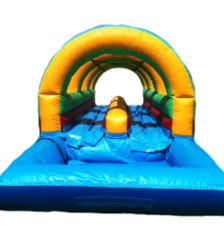 This is a must for schools, churches, and large parties looking to get a high number of kids through quickly.